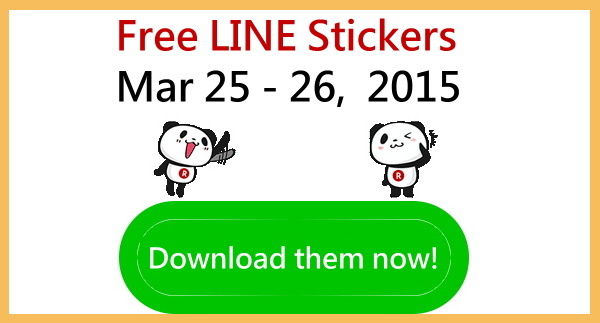 【List】Free LINE stickers of Shopping Panda on Mar 25-26, 2015.
view free LINE stickers via openVPN & easyVPN; register phone number on LINE; terms apply; friend official account. 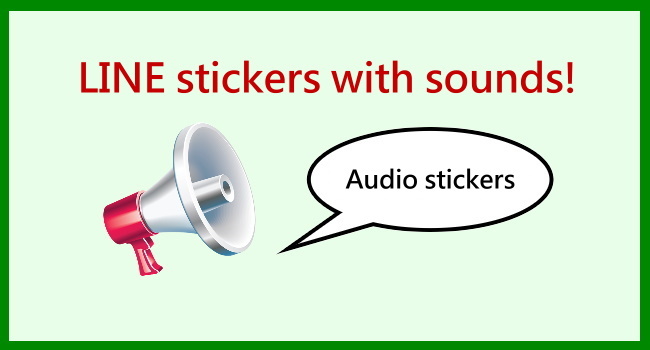 【List】First audio LINE stickers show up! 22/1/2015. LINE stickers with sounds are released! view paid LINE stickers via openVPN & easyVPN. 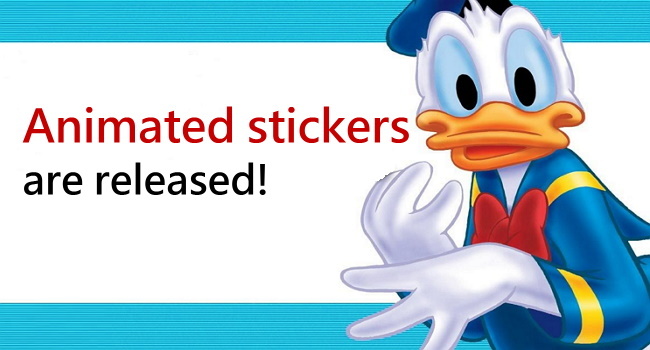 【List】Animated LINE stickers of Donald Duck! 22/1/2015. 【List】Animated LINE stickers of Miffy! 8/1/2015. Free LINE stickers of ATASHIn'CHI are included. 【11/27 LINE sticker list】Animated Mickey & Minnie are released! 【11/20 LINE sticker list】Animated Moon, Cherng & funassyi. Newest LINE stickers are here! If you love overseas stickers, try OpenVPN to view stickers of other regions. By the way, if you use OpenVPN, then you can’t register your phone number on LINE. That means you have to register E-mail and Facebook account instead. In addition, LINE Corporation has changed the rule of viewing stickers. Therefore, before you view overseas stickers, please read the article: Rules for veiwing overseas LINE stickers. 【11/13 LINE sticker list】Animated Snoopy & Winnie the Pooh! 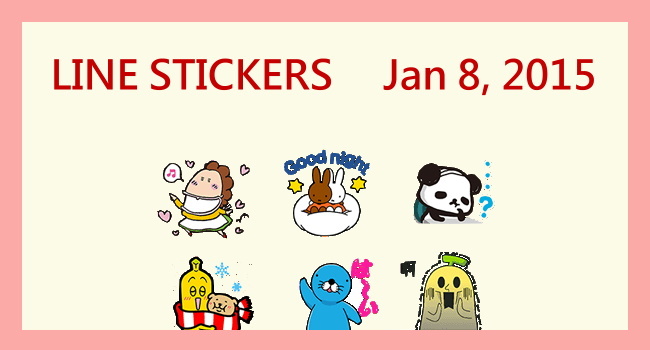 Here are LINE stickers on Nov 6, 2014. If you love overseas stickers, try OpenVPN to view stickers of other regions. By the way, if you use OpenVPN, then you can’t register your phone number on LINE. That means you have to register E-mail and Facebook account instead. In addition, LINE Corporation has changed the rule of viewing stickers. Therefore, before you view overseas stickers, please read the article: Rules for veiwing overseas LINE stickers. 【10/30 LINE sticker list】Jimmy, Melody(animated) & Crayon Shin-chan! Here are LINE stickers on Oct 30, 2014. If you love overseas stickers, try OpenVPN to view stickers of other regions. By the way, if you use OpenVPN, then you can’t register your phone number on LINE. That means you have to register E-mail and Facebook account instead. In addition, LINE Corporation has changed the rule of viewing stickers. Therefore, before you view overseas stickers, please read the article: Rules for veiwing overseas LINE stickers.